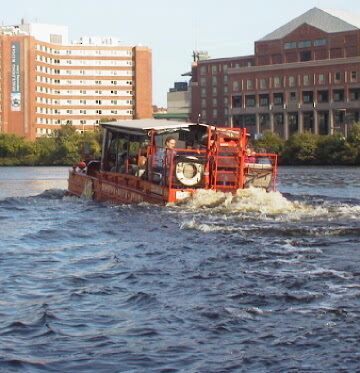 We took a "Duck Boat" tour with a bunch of people from work. 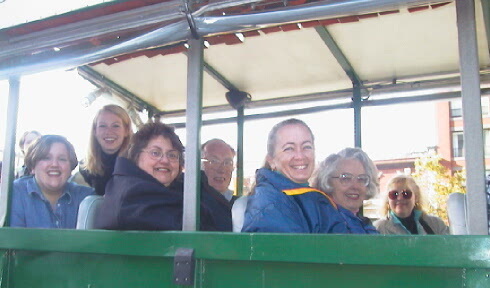 The tour takes place on a World War II amphibious vehicle. About half way through the tour it runs full speed into the river and continues the tour in boat-mode in the water. 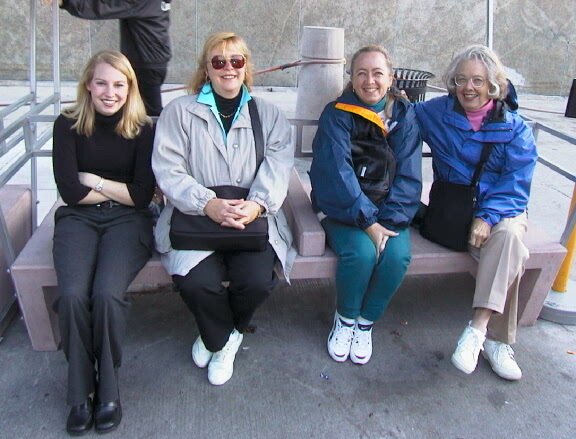 waiting.jpg Some friends from work waiting patiently in line for the Duck Boat tour to start. 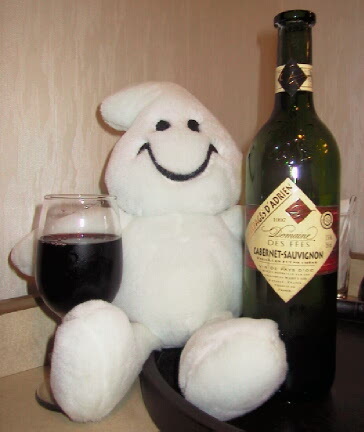 A very happy friend of ours that I brought back a bottle of wine from France. He's the one responsible for drinking the eitire bottle...promise. hotelview.jpg This is the view out our hotel room. Not only was the hotel very comfortable but was also very centrally located to most of the attractions in the city. 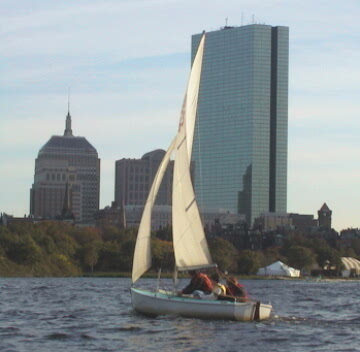 sail.jpg A boat with the Boston skyline in the background. Apparently, students can get a license to come out here and practice sailing for one dollar per year.